Public meetings to inform and canvas the broader Skeena community about the SWI’s activities. 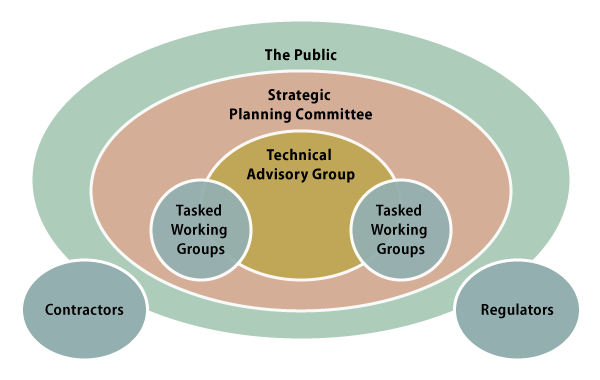 A Strategic Planning Committee identified objectives (based on input obtained at public meetings) and worked towards making consensus recommendations to regulatory agencies. A Technical Advisory Group helped to identify scientific and technical inputs that were needed, and generated technical information for the SWI. Regulators provided updates on government-led initiatives, and participated in both planning and technical activities. Contractors implemented projects and reported on their findings.